Oceana in Belize has announced that the Government of Belize (GOB) has withdrawn its appeal against the legal ruling on the null and void offshore oil concessions. According to Oceana, this monumental move demonstrates the GOB’s commitment to protect the country’s marine resources. Furthermore, Minister of Tourism, Culture and Civil Aviation has confirmed to The San Pedro Sun that GOB no longer intends to entertain proposals for offshore oil concessions. In a press release issued on Wednesday, May 27th, Oceana stated their pleasure on the notice that the attorneys of GOB, Barrow and Company, having withdrawn the appeal in the matter of Civil Appeal No. 18 of 2013: Ministry of Natural Resources and the Environment and Oceana in Belize; Citizens Organized for Liberty and Action (COLA) and the Coalition to Save Our Natural Heritage. In this appeal, the GOB had challenged an April 2013 decision issued by Justice Oswell Legall in favor of Oceana, COLA and the Coalition in their lawsuit challenging six Production Sharing Agreements (PSA) allowing offshore oil drilling. But the withdrawal of the appeal shows that GOB no longer wishes to resurrect these oil concessions. “We view the decision by the Government of Belize to withdraw its appeal as a demonstration of the Dean Barrow administration’s commitment to safeguarding the country’s marine resources. Oceana Belize is in the process of proposing language to formalize the moratorium on Production Sharing Agreements for offshore areas which would ensure the protection of our economically important marine environment and outline clear benefits to Belizeans today and for future generations,” said Oceana Belize’s Vice President, Janelle Chanona. In the initial ruling (the ruling GOB was appealing), Justice Legall made the following orders: (1) A declaration that the six challenged PSAs were null and void because no environmental impact assessment was carried out before making the agreements (in violation of the Environmental Protection Act) and the agreements were entered into with companies who did not demonstrate appropriate capabilities (in violation of the Petroleum Act); (2) A declaration that “before entering into agreements or contracts which authorize oil exploration and seismic surveys, an environmental impact assessment is required”; and (3) An injunction restraining the government from carrying out the provisions of the challenged PSAs. In an interview with The Sun, Honorable Manuel Heredia Jr. further confirmed the GOB’s stance on Offshore Oil Exploration and Drilling. “There is nothing in the pipe line for offshore drilling. All permits that were up for consideration for offshore oil concessions have been dismissed. GOB doesn’t want to do anything that will damage our marine life. The only concession that was given has proven to be barren of oil and we do not intend to give out any more,” said Heredia. He explained that the only form of oil exploration that the GOB is looking into will be inland. “What we will be entertaining is inshore oil exploration. 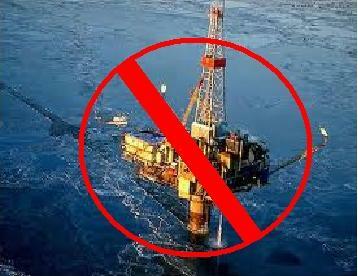 It is easier to manage drilling on land rather than out at sea, and the risks are lower. Oil exploration is a great means to stimulate of the economy, so we need to continue promoting it but in a safe and manageable manner,” said Heredia.